We were sent these gifts in order to facilitate promotion. All opinions are our own! Calico Critters are super adorable! 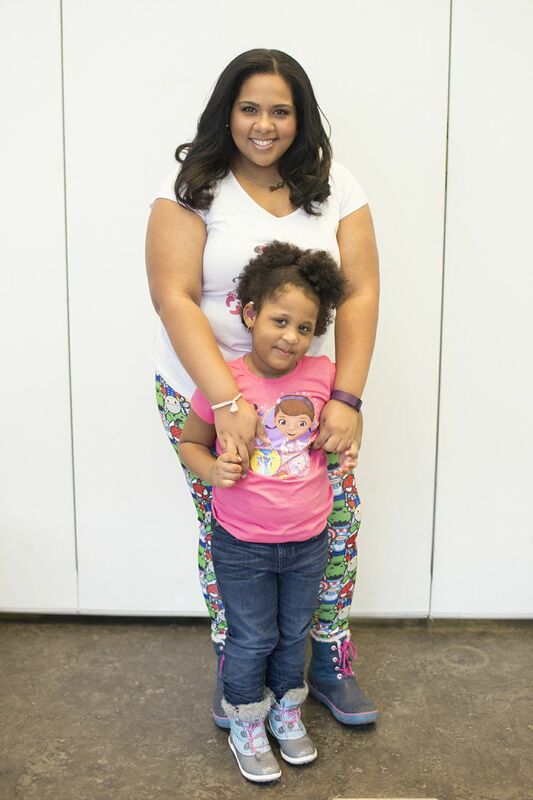 Gabriella loves them and is always fascinated by the ways the playsets come together to create beautiful mini-communities. 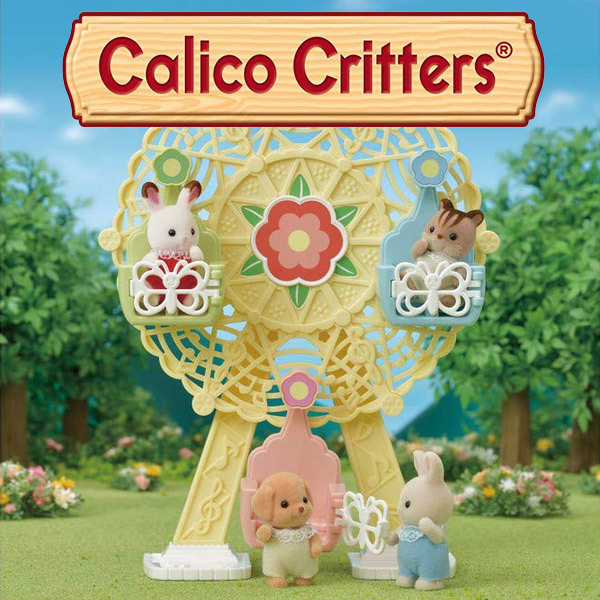 They were first introduced in 1985 and feature beautiful, richly detailed animal figures that live like humans with a focus on “Nature, Family, and Love.” Now, arriving in time for the Easter Holiday and basket giving is their new Calico Critters Nursery Collection! The new Nursery collection features sweet new Baby Critters and specially-designed environments – all packed with play for the little ones. The wonderful brand sent us some sweet surprises to unbox and explore and the first thing to catch her eye was the Baby Ferris Wheel. It's Adorable! Children can take the Baby Critters for some outdoor fun at the amusement park on this sweet little Ferris Wheel. They can open the gondola doors and have the Baby Critters hop on the carts for a ride on the spinning wheel. 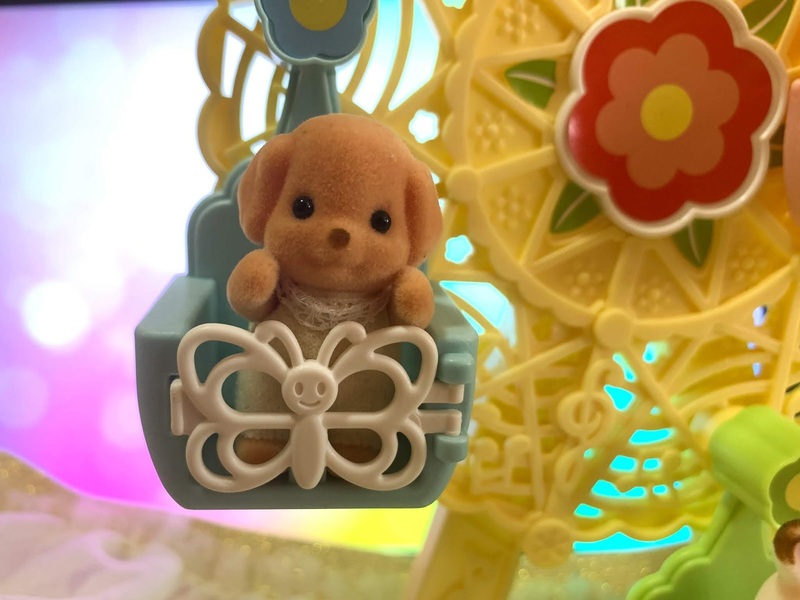 The Ferris Wheel includes three gondola doors and Toy Poodle baby Milo who is ready to play! Aside from the playsets, Calico Critters have also created mini Baby Critter packs and even blind bags. For example, Children can now get a few of their favorite Baby Critters ready for nursery school. 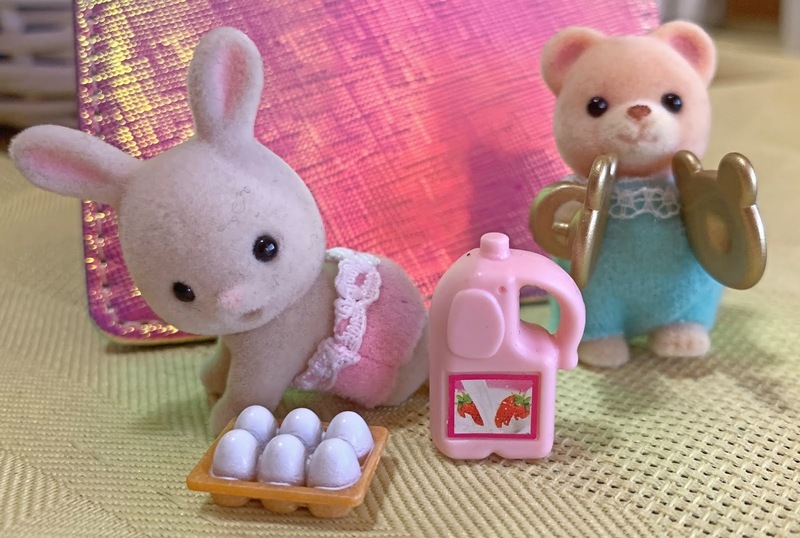 The Nursery Friends set includes three Baby Critters with their school uniforms, along with some accessories for the day: Grace Hopscotch Rabbit dons a cute red hat, Luke Hazelnut Chipmunk sports a water bottle and Bonnie Persian Cat with her pink messenger bag. The Blind Bags are the most affordable of the line and also the cutest! The Baby Shopping Series Blind bags add the element of surprise to Calico Critters play! Hidden in each bag is a new Baby Shopping critter that Gabs can add to her nursery collection. Each bag includes a Baby Critter and uniquely designed grocery and shopping accessories. This series also includes one extra secret style critter. The collection includes nine new collectible babies to tag along with the shopping trip. Gabby was happy to see that she got Sweetpea Rabbit Baby with Eggs and Juice. The Baby Band series of blind bags includes a Baby critter and a uniquely designed musical instrument. The collection includes eight new collectible babies to complete the band. We got Jason Cuddle Bear with cymbals. 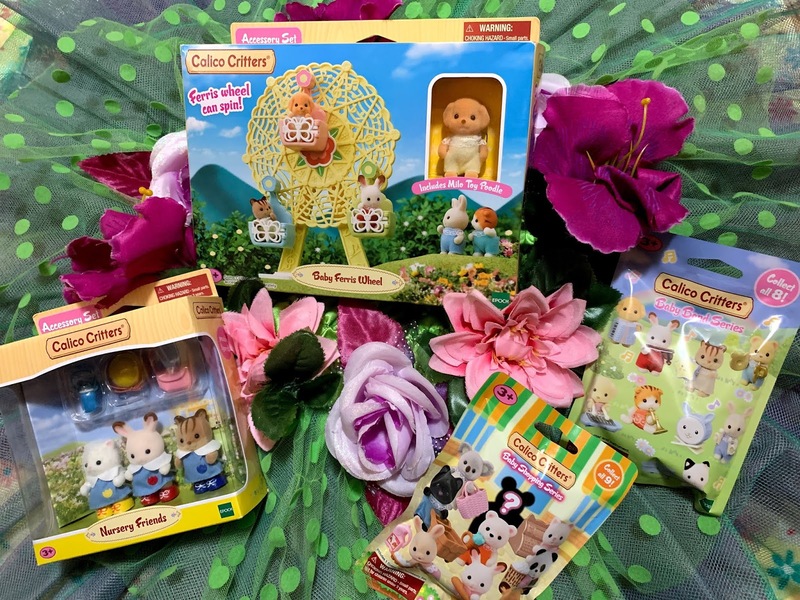 Overall, These Calico Critters are super cute and make perfect Easter Basket fillers! Will you be filling baskets with these this year?